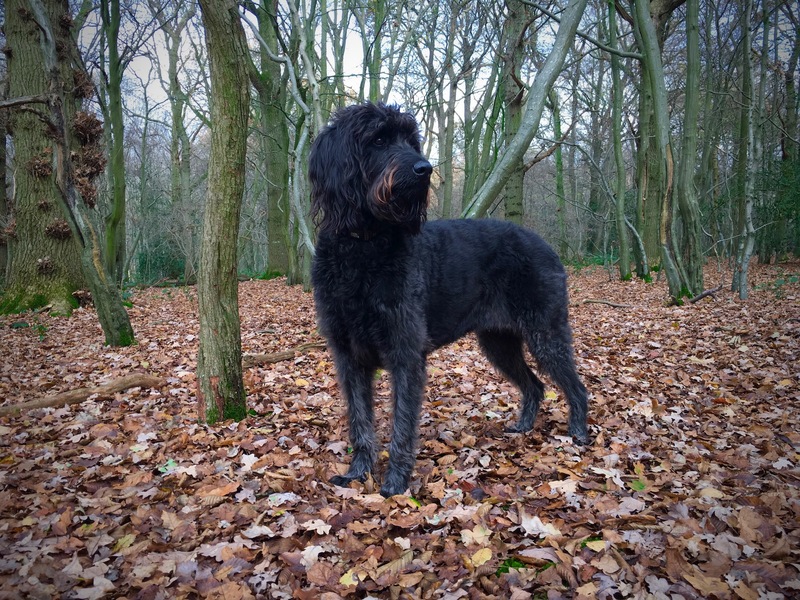 I have a young (5 yrs old) Labradoodle called Ursa. She was diagnosed with spondylosis two and a half years ago; she also has OA in her elbow after an op for FMCP when she was two years old and there is evidence of mild OA in other joints as well. The affected areas of her spine are in the lumbosacral and cervicothoracic areas; the LS confirmed by X ray and the CT symptomatically. Last summer she had a major bout of something my physio calls “a first rib problem” which she was able to fix with manipulation; the severe forelimb lameness lasted six weeks (until I could see her physio). Then about two months ago she had another bout of intense lameness which was gone after night’s rest. For the last few weeks she clearly has pain when getting up from rest. It’s always the same limb (left foreleg) but within a few strides she appears completely sound. There is absolutely no sign of discomfort once she’s up and running (literally!). My understanding of a “first rib problem” is that it’s akin to thoracic outlet syndrome in humans, and as far as I can establish it is neurological pain produced by the nerves which emerge from the neck being irritated by bony anatomy which is slightly out of line. (None of her vets have heard of it.) So I wonder if the lameness I’m seeing is likely to be neuropathic rather than osteoarthritic? Could it be that the nerves in her neck cause pain which then dissipates once she’s standing up because her spine realigns in some way? It’s hard to explain to my vet because all he sees is an apparently sound dog in his surgery. I recently changed vets because they all just said “oh it’s arthritis, just give her painkillers” – a decision I think was vindicated when the physio cured the problem with manipulation. I have an arsenal of drugs to use when I see symptoms, but I honestly don’t see any improvement. We have Previcox and Pardale with Tramadol as a last resort (I’ve never used it). However I wonder if the reason they don’t seem to affect this initial lameness is that NSAIDs don’t deal with neuropathic pain? I’ve been reading about Gabapentin and do wonder if that’s a option worth exploring? With the support of the vet and physio I’ve tried to keep her off a daily drugs regime, because she’s so young; we’ve all felt it would be better to wait until she clearly needs them. If this is now, then of course I will start to give her a daily dose, but I’d like to see some benefit! I’m not entirely sure where to go from here. A very kind person in the Holly’s Army group on Facebook suggested seeking a referral, which I’m sure the vet would do, but I’d really welcome advice on which path to choose. Is this initial lameness on rising a sign of things to come? And if so is there something I should be doing now? She has regular osteopathic treatment (which has been brilliant for her), laser treatment (from both the physio and the osteopath), physio when she’s symptomatic and we’re going back to hydro after a three month break next week. I’m sorry to say that the vet has become almost peripheral in caring for her! We’re based in mid-Sussex, near Brighton, so the Surrey referral centres are within reasonably easy reach. We do have occasional flare-ups from the spondylosis – a few weeks ago she suddenly yelped on rising and wouldn’t let anyone touch her spine/pelvis, and that resolved with a couple of days rest. I know people with “dodgy backs” often get bouts of sciatica, for instance, which can settle just as quickly as they arose, so I’ve been working on the basis that it’s a bit like that for her. Also, the “first rib” problem seems to have been a combination of the first rib girdle being slightly out of line but also possibly related to the nerves which arise from the lower part of the cervical spine. The reason I was unwilling to label it simply as “arthritis” was that it was very sudden onset which resolved completely after manipulation. I do think it might be a good idea to get some images of her upper spine to see what’s going on there. Thank you very much for your responses: it’s much appreciated.